For Consequence marks the completion of a trilogy on LeoRecords for the Maneri-Peterson-Schuller trio (Leo Lab 022 - Fever Bed and CD LR 278 - Fifty-one Sorrow). 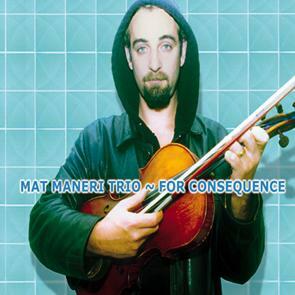 Few jazz musicians have so wholly learned the dark sublime as has Mat Maneri. Playing viola, Maneri affirms what matters most in jazz, and what seems to be accomplished least: "The creation of an original sound and language within a group context, a forum where individual voices fuse and flow as one organism, reflecting not only on the unique history of a combo, but the cellular evolution of a music" (Steve Dollar).